Manner Coffee was a recommendation from Anna, my barista at Monday’s Coffee Spot, Sumerian Coffee. Handily placed just a few streets away from Sumerian Coffee on the quiet Nanyang Road, I was very grateful for the tip since I’m not sure I’d have found it by myself, particularly since it doesn’t show up on any on-line maps that I know of and has no social media presence. I’m not even sure I’d have noticed it if I was just walking past since Manner Coffee is literally a hole-in-the-wall operation (for the pedants out there, technically it’s a window-in-the-wall operation). However, the crowd of people standing outside, waiting to order their coffee, might have drawn my attention. And what coffee! Despite its size, Manner offers espresso (house-blend) & pour-over (various single-origins) from a selection of beans, all roasted in-house. It’s takeaway cups only though, so don’t forget to bring your own. There’s not a lot to Manner Coffee. It’s literally a window at which you order your coffee, before waiting on the pavement for your order to be shouted out, at which point you’ll find your coffee waiting on the shelf beneath the window. Alternatively, you can perch on the bench that sits by the kerb on the opposite side of the wide pavement. Strangely, Manner Coffee, and the bench in particular, instantly reminded me of New York’s Gimme! Coffee, although at Gimme! Coffee you at least go inside to order. Given its size, you could forgive Manner Coffee for just serving espresso, but there’s so much more to it than that, with a full pour-over menu offering a selection of five single-origins. There are also various over-ice options, plus a single-origin Ethiopian cold-brew on offer. Looking in through the window, I could see at least four people beavering away. However, I couldn’t see past the La Marzocco espresso machine to work out what the pour-over set-up was and, with my non-existent Chinese, asking was out of the question. Given its set-up, Manner Coffee only offers takeaway cups, although there’s a generous 5 Yuan discount for anyone bringing their own cup. Fortunately, I take my Kaffeeform cup with me everywhere I go, even all the way to Shanghai (it’s now survived for five full months living in my rucksack), so I ordered a shot of the house-blend espresso. This was surprisingly long, the coffee coming across as quite sharp and fruity. I enjoyed sitting on the bench while I slowly sipped it. A word about prices: my espresso was a snip at 10 Yuan (a shade over £1) while the rest of Manner’s pricing was similarly reasonable. It’s the only place I visited in Shanghai where I paid under London prices. Most of the rest of the shops were either on a par with London or heading towards Hong Kong pricing, particularly when it came to pour-over and retail bags of coffee. Manner roasts all its own coffee and you can buy any of the beans, including the house blend. In all, there were seven single-origins on offer, including a washed and a natural Yirgacheffe, as well as Kenyan Guatemalan, Colombian and Sumatran beans. The prices varied from around £4 to £8 for a 250g bag. However, what caught my eye was the Yunnan, the same single-origin Chinese coffee I’d had at Sumerian Coffee. Whereas the two bags I’d bought there had set me back just under £8 each, Manner was half the price, so I made another impulse purchase. March 2019: you can see what I made of the second branch of Manner Coffee, which opened just along the road on Fengxian Road. You can also what I made of BLUEKING Coffee, which is a few doors along from Manner Coffee on Nanyang Road. This entry was posted in Cafe/Roaster, Evening Opening, Retailers, Saturday Short, Shanghai, Takeaway and tagged AroundTheWorld2016, include by Brian Williams. Bookmark the permalink. How on earth do they fit in the roaster?! Did you get to see it at any stage. I would love the opportunity to try a yunnan coffee.. Most of our china tea comes from this region! I suspect that the roaster is actually somewhere else. Most of the coffee shop/roasters (with one exception) didn’t roast on-site. That said, who knows what was behind that window? There might be a whole warehouse in there for all I know. But I suspect not. haha – there is a tendency for small spaces to be the norm to work in when it comes to China! A sample of Yunnan coffee would be welcomed by us this end- yours in anticipation and trust the remainder of the trip continues to please. i know tea is not your thing – but you CAN’T leave China without at least sampling their new crop greens- they keep the best for themselves so it would be an educational experience at the very least .. Thanks a lot for the article. 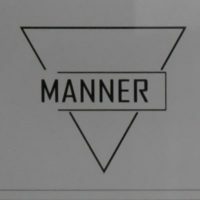 I am a friend of Manner Coffee’s owner and I am trying to create a Facebook page for his tiny “cafe”, is it okay for me to use the header picture here on your blog? Yes, of course you can use the header picture. Just please mention on Facebook that it is “Copyright Brian Williams 2016” and also, if you can, place a link to the actual post. I’m not sure if the header picture here will be the correct aspect ratio for Facebook, so if you want the original (that way you can crop it yourself, plus the original won’t have “Saturday Short” written on it!) just let me know.